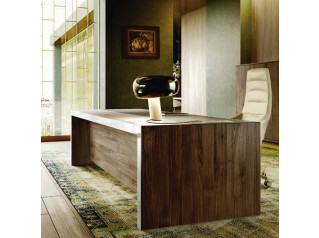 Jobs Easy Executive Office Desks are part of a high-end executive office furniture range consisting of various executive desk furniture and conference tables. 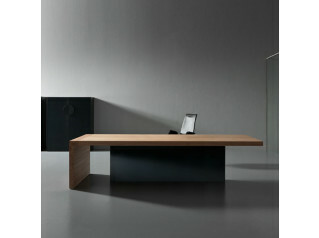 There is also the option of the Jobs Executive Desk; both can be specified with numerous accessories and variations. 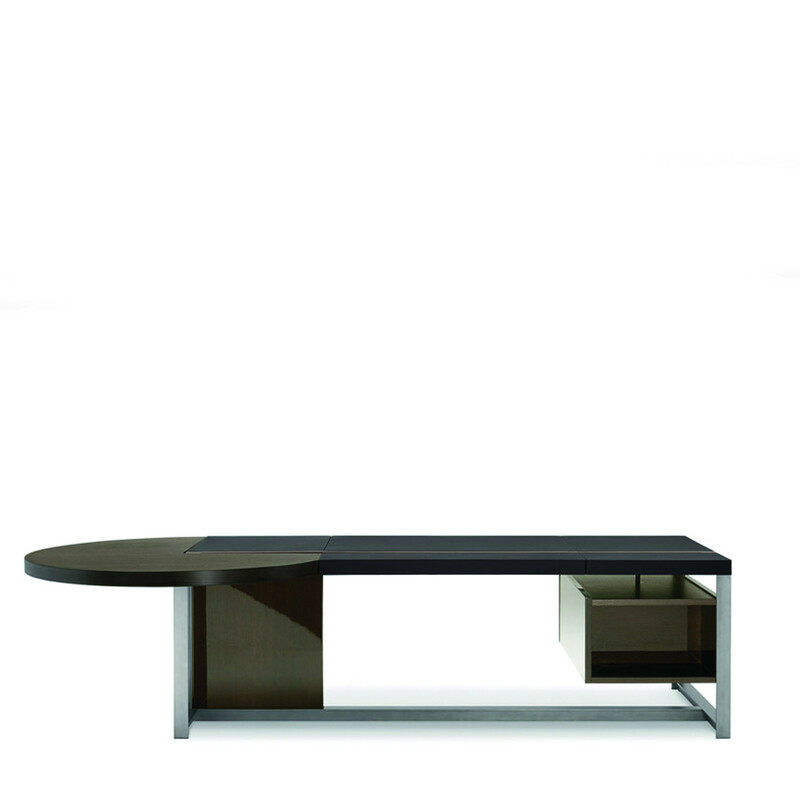 Jobs management level office desks have a brushed steel frame with a lead painted finish and characteristic "T" section. 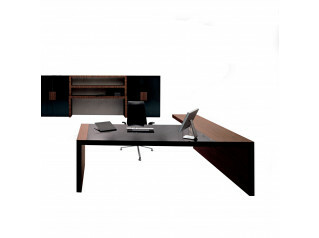 The Jobs Easy Executive Desk and Jobs Executive Desk versions have a cable management column made of steel with external panels veneered in Lead Oak or Tobacco Oak with a polished finish. 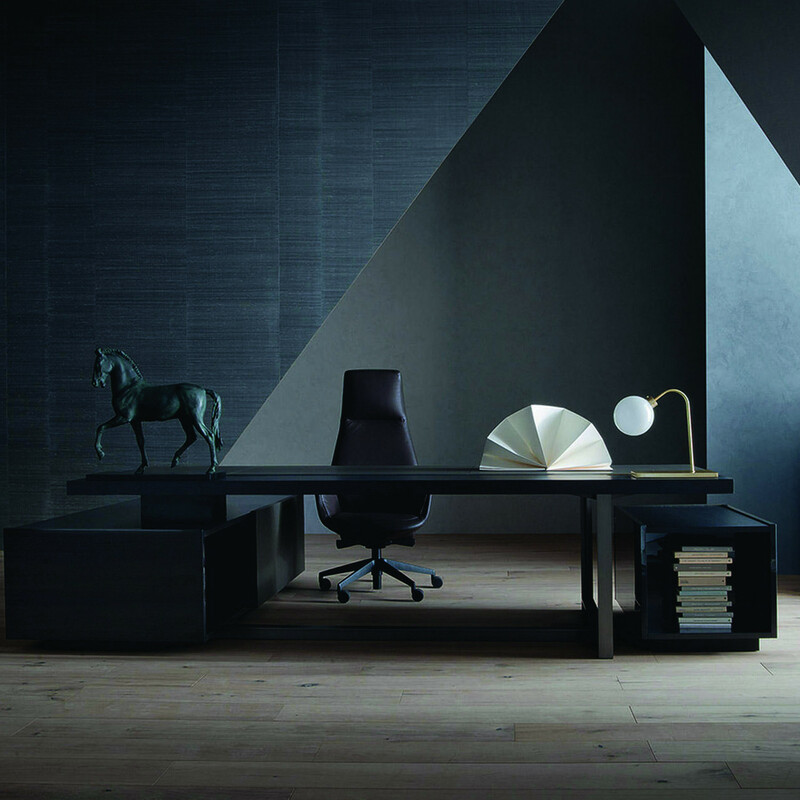 In place of the cable management column, the Jobs President Executive Office Desk has a cabinet made of medium-density wood fibre veneered in Lead Oak or Tobacco Oak with a polished finish and a matte-finish top. 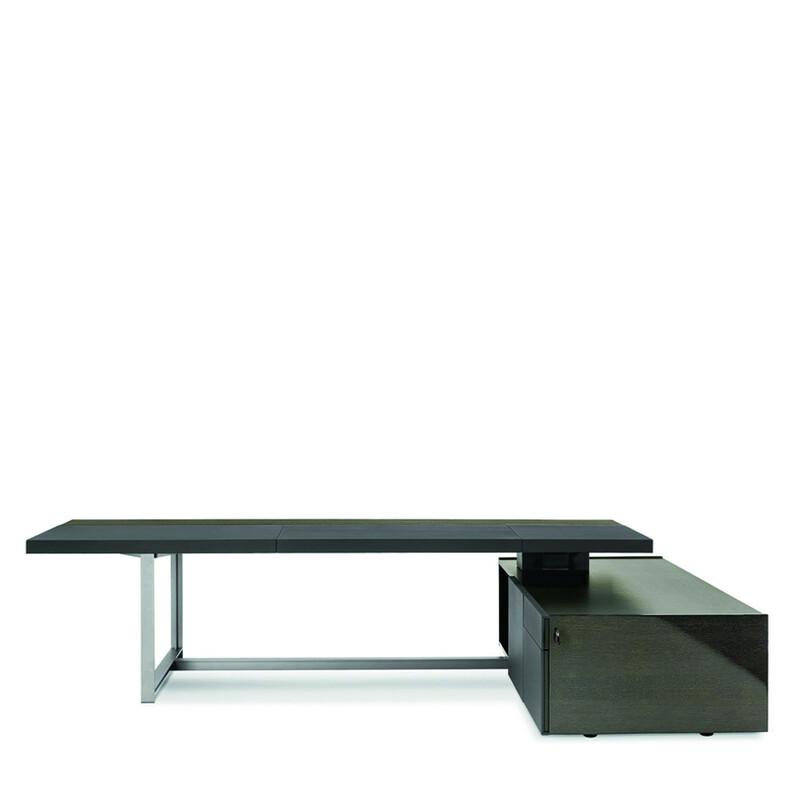 The desktop is made with an internal support frame in tubular steel painted matt black and external panelling in medium-density wood fibre. 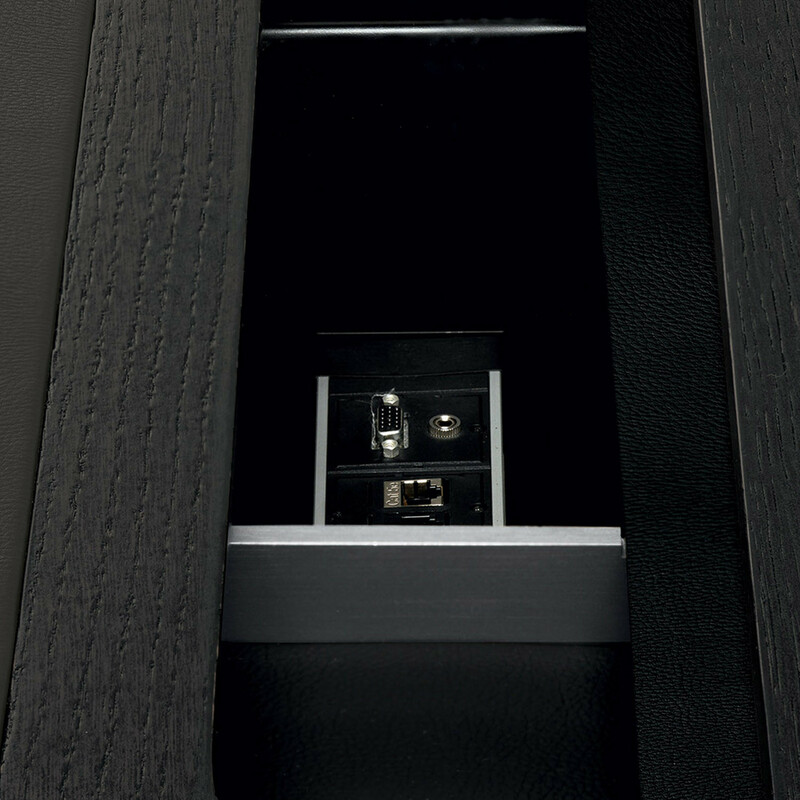 The upholstery is in Pelle Frau® leather from the Color System. The leather top is embellished with a Lead or Tobacco strip of Oak with a matte finish. This runs the entire length of the top and separates the work area from the "Guest area"; it also features a slot where electrical cables come out.To the side of the cable management column, the top is equipped with a sliding door that allows access to a small compartment inside the top. 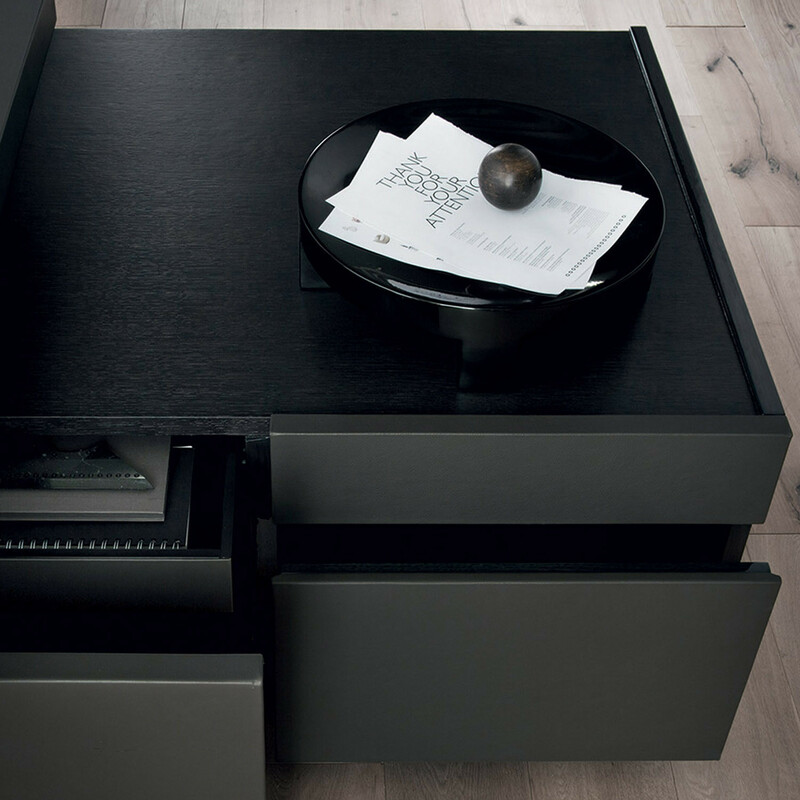 View more furniture from Poltrona Frau. You are requesting a price for the "Jobs Easy Executive Office Desks"
To create a new project and add "Jobs Easy Executive Office Desks" to it please click the button below. 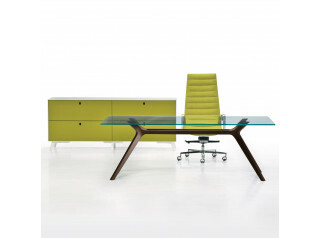 To add "Jobs Easy Executive Office Desks" to an existing project please select below.